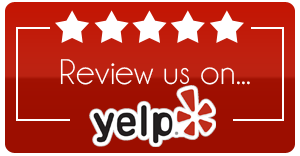 We had a great experience with Express Moving. This July we moved from Bakersfield to Montana. Jason helped us every step of the way, from the estimate to final loading. Jason was present the day before for inventory and then the next day for loading of the truck. The local staff of movers were on time and courteous. The couple, Rod and Kari Hanson, who drove the semi truck for Allied were absolutely amazing. Very friendly and efficient. They arrived at our new home on schedule ( 1/2 hr early). This move was text book, which not everyone experiences I realize, but I would certainly call Express Moving and Storage again and will recommend them to my Bakersfield friends. Making a major move from Mt Mesa, CA to Palm Desert Sun City was as easy as it can get! Not only did Ben and his staff answer every question we had before the move, on moving day itself the van arrived ON TIME! Having to navigate the Kern Canyon roads in early morning traffic, the crew set to work quickly and with great efficiency. The house furnishings and all belongings were loaded with professionalism and infinite care. Delivery was the next day in Palm Desert CA some 225 miles away. Again , a smaller crew unloaded carefully, efficiently and with good humor. 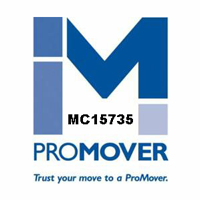 We would recommend Express Moving to anyone requiring a small or large residential relocation service. Thank you Ben, Jason and all the staff who helped us get into our newest home. Just wanted to let you know how pleased I was with your service on Monday. The crew did a great job. They were very efficient, worked hard and got the job done just the way I needed it to be done. I couldn’t do the move myself and they completed the work just like I would have done it if I could. To be truthful, they did it better than I could have. They represented you and your company very well. Just wanted to let you know. Wishing you the very best. The owner Ben Durham personally helped me with all arrangements and was very good with phone and email followup as we tried to get a set schedule. The movers arrived on time and only charged for what they worked in 15 minute increments. I was their only job for the day and I thought they might work slow to stretch out their salary but they loaded a full truck and had it moved and unloaded in less then 4 hours. They worked fast and did a good job. Prices were fair for a truck and two men, there were no extra gas/other charges added. I just wanted to drop you a note to say what a great job your crew did for me today. I really appreciate their professional appearance and courteous manners. They arrived promptly, introduced themselves and got to work. They had me packed up and moved into my storage unit in no time. They were very easy to work with and pack everything into my storage unit just as I wanted. With my job I move every 6 months so I’ll be calling you again in August for help moving my stuff into my new residence. It certainly makes it much easier for me now that I’ve found a company I know I can rely on for my moving needs. Not to mention I won’t have to bribe my nephews any longer…LOL. Thanks again!